Looking for the Top 5 activities and restaurants in Yorkville, Toronto? 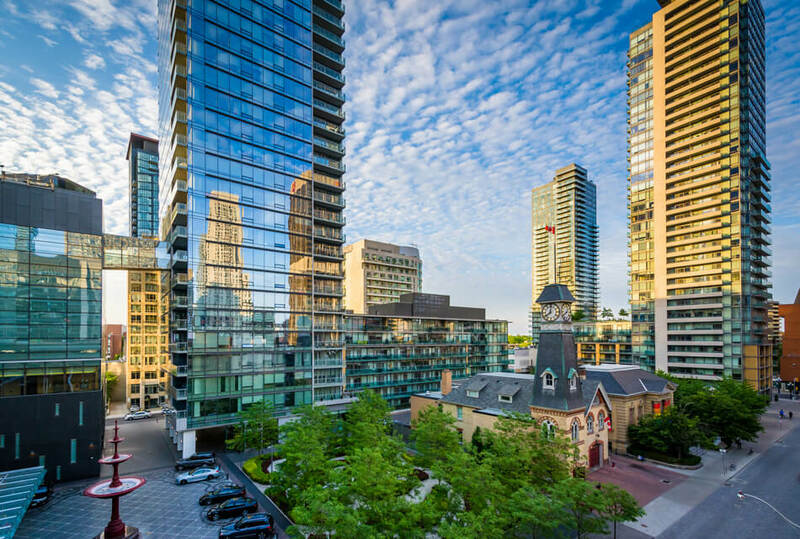 At the intersection of Yonge and Bloor in downtown Toronto, you will discover Yorkville, an upscale neighborhood where the rich and famous love to shop and dine. Also known as the Mink Mile, the neighborhood is home to several art galleries, museums, high-end boutiques, and some of the best restaurants in Toronto. Many people do not know that the neighborhood was once a mecca for musicians and hippies in the 1960s. Even today, you can find licensed bands playing in the Cumberland park on any weekend. However, the modern Yorkville has transformed itself into a hub of retail therapy with high-end shops and fashion boutiques. Here are the Top 5 things to do in Yorkville. Shopping Of course! – With a plethora of high-end shops dotting every street, it is difficult to walk around the neighborhood without buying anything. Make sure you have enough time to go window-shopping and also remember to carry your credit card as you will find many irresistible temptations on the way. Some of the best shopping malls in the areas are Cumberland Terrace, Holt Renfrew Centre, Manulife Centre, Yorkville Village, and Hudson’s Bay Centre. Before you shop till you drop, you’ll want to save some energy to treat yourself for a fine dining restaurant in Yorkville. You’ll be surrounded by some of the best in Toronto. Yorkville Museums – The neighborhood has some amazing museums worth a visit. You can spend an entire day in the Royal Ontario Museum (ROM) watching exhibits that give you an insight into the city’s history and culture. The Bata Shoe Museum has the world’s largest collection of footwear and related items. Another popular museum worth visiting is the Gardiner museum that boasts an amazing collection of ceramics used throughout civilization. If all that learning makes you hungry, pamper your taste buds at one of the best Yorkville restaurants. Yorkville Parks – The Village of Yorkville Park consists of a series of well-maintained gardens that are good spots to rest or just to do some people watching. The numerous parks offer a much-needed respite from the hustle-bustle of the neighborhood. They celebrate the history of Yorkville and showcase the best of the Canadian landscape. Some of the best neighborhood parks are the Jesse Ketchum Park, the Frank Stollery Park, and the Town Hall Square. The parks are in close proximity to some of the best Yorkville restaurants, so make sure you grab a bite after heading to the park. Art Galleries in Yorkville – What can be a better way to spend an afternoon in Yorkville than doing some gallery hopping? The neighborhood is home to several art galleries where you can find works by the leading artists around the country. From contemporary Canadian paintings to International art, the art galleries cover them all. Some of the best places to include in your itinerary are Canadian Fine Arts Gallery, Loch Gallery, Mayberry Fine Art, Mira Godard Gallery, and Miriam Shiell Fine Art. All that gallery hopping is sure to leave you hungry, so head to one of the nearby Yorkville restaurants to get your fill. Yorkville restaurants – There’s no denying that Yorkville has some of the best restaurants in Toronto. From breakfast, lunch & dinner, the area has must try dining experiences that are local favorites and some even recognized around the world. Enjoy Fresh Seafood and innovative Pasta dishes to Roasted Truffle Beef Tenderloin and made-to-order Tiramisu. Enjoying a restaurant in Yorkville is the perfect way to finish off a long day of shopping and sightseeing. Experience one of Toronto’s best Italian restaurants and award winning modern Italian Cuisine. Voted as a Romantic Destination of choice for an upscale dining and live entertainment. Blu Ristorante has been recognized as one of the city’s best restaurants in Toronto for fine dining and group events. We hope this information helps you maximize your time by seeing the best that the Yorkville neighborhood has to offer. From the tempting shopping, and enriching museums to the best Yorkville restaurants and bars, the area has something for everyone! We welcome you to come visit us at Blu Ristorante to come try our fine dining Italian cuisine and live music (pianist and guitarist) on weekends, located in Yorkville, the heart of downtown Toronto Canada.